DBBP’s very own resident rock star, Ricky Whelan, has been bringing his sell out speaking tour, 'The Secret Life of Crows', to packed audiences across the nation. The intelligence of these birds has captivated crowds and, much like a revival, has led to conversions to the ‘cult of the crow’, or in less dramatic terms, people left with a renewed appreciation for the cleverness of corvids. 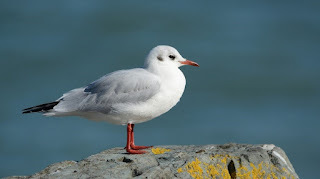 An avian family which has been compared to corvids, both in terms of their cerebral qualities and their sometimes-controversial behaviour, is the gull family. While perhaps not as innovative as the New Caledonian Crow which uses sticks to transport multiple items (Jacobs et al 2016), gulls have shown a remarkable ability to ‘think outside the box’. If you have ever noticed Herring or Common Gulls, ‘dancing’ in your local park, what you are witnessing is them simulating rain drops by drumming their feet on the ground to encourage earthworms to the surface (Tinbergen 1953). For a video of a Herring Gull performing a ‘rain dance’ click here. Tool-use has also been recorded, with a report of a Herring Gull using bread as bait to lure goldfish (Henry & Aznar 2006). Take a walk along the coast and chances are you will see gulls repeatedly dropping shellfish from a height until the shell breaks open (Ingolfsson & Estrella 1978). This ability to learn, innovate and adapt behaviour accordingly is what defines intelligence (van Schaik & Burkart 2011). Last week, as darkness was falling, the DBBP Team got in to position all around Dublin Bay - from Dun Laoghaire to Sutton - and counted over 29,000 gulls coming in to roost. But more on numbers shortly. In all, Dublin Bay regularly supports five species of gull. These are, in descending order of relative abundance, the Black – headed Gull; Herring Gull; Common Gull; Lesser Black – backed Gull and the Great Black – backed Gull. Small numbers of Mediterranean Gulls have also been consistently recorded during the autumn and winter months on Dublin’s south side for the last number of years, a relatively new arrival to our shores. We count gulls in Dublin Bay in our monthly surveys during which all waterbird species, as well as their behaviour and location, are recorded. Gulls, however, are tricky. They are often feeding inland or out at sea during the day so can be missed during the regular surveys. To get a more accurate picture we schedule additional, dedicated counts at dusk to get an estimate of the numbers using the bay to roost at night. What we have found is pretty fascinating. At high tide at dusk - the conditions we usually select for these counts - the highest number of gulls are recorded on the south side of Dublin Bay, when overall numbers there can go northwards of 20,000. However, at low tide, it appears that the north side of the bay, specifically the Tolka Estuary, is the place to be for those of the gull persuasion. 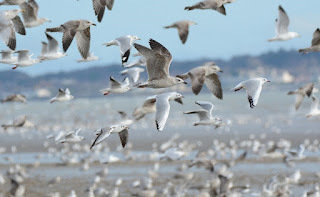 More than 26,000 gulls were recorded there at low tide in February 2012 (Cummins & Crowe 2012), and more than 12,000 were recorded over the same tidal stage in February 2014 (Tierney et al 2014). 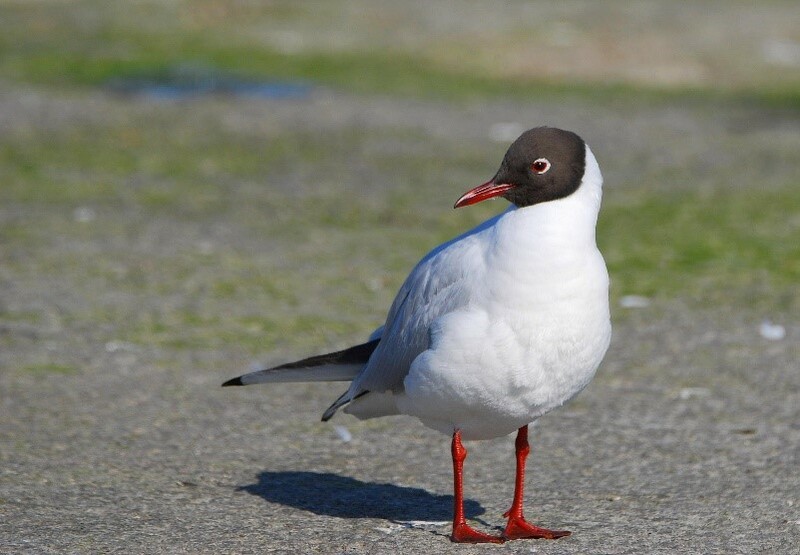 Black–headed gulls certainly rule the roost in terms of sheer numbers, often with 16,000+ recorded across the whole bay, and most of these usually at Sandymount and Booterstown. The second most numerous species during roost surveys is the Herring Gull, with more than 7,000 birds counted during a dusk survey. The difference in numbers of gulls recorded during core counts of all waterbirds present compared with dedicated dusk counts is particularly striking for the Black-headed Gull. The peak count for this species during a standard low tide core count in 2018 was over 5,000 in February compared to the 17,000+ recorded in the same month but during a dusk gull roost count. But why, aside from scientific curiosity, is this information important? Given the number of sandwiches and chips pilfered from unsuspecting humans, surely the population of Herring Gulls, if not all gulls, is very healthy? Published data, however, states that Herring Gull and Black–headed Gull are both red-listed as species of conservation concern in Ireland (Colhoun & Cummins 2013). This is due to a 90% and 70% decline respectively in the breeding populations of these birds between 1968 and 2002. 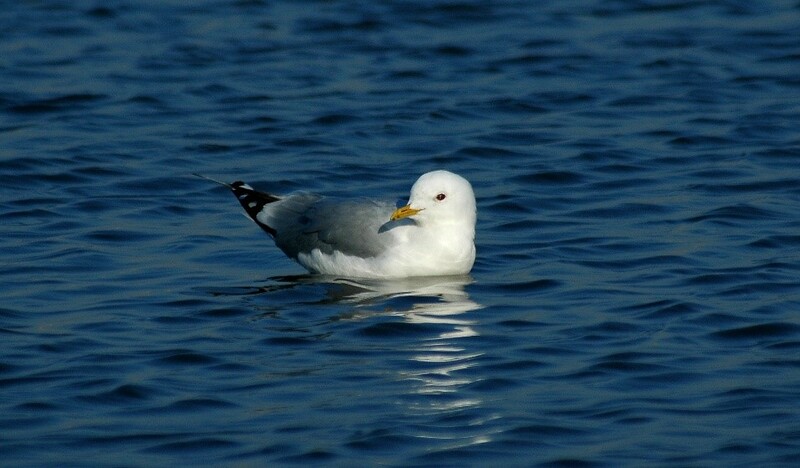 Common Gull, Lesser Black-backed Gull and Great Black-backed Gull are all amber listed as species of conservation concern. More recent monitoring of breeding populations in Ireland will hopefully show something more positive. 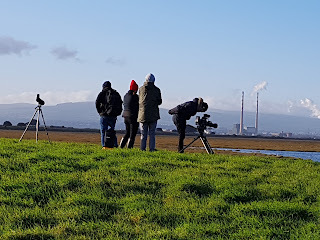 And by gathering data on long-term trends and distribution in Dublin Bay, we can highlight any changes at what appears to be an important winter roosting site for these beautiful and intelligent birds, and hopefully the information can help inform policy to protect them. Finally, a note on our relationship with gulls. One aspect which we tend to forget is that gulls have lived in coastal areas and inland with us for centuries. Their presence now appears to be greater in coastal towns and cities for a number of reasons. One is our continued overfishing of the seas. As a result of overfishing, these intelligent birds were forced to find alternative methods of foraging and landed on, (both figuratively and literally), landfills. This led to wide outbreaks of avian botulism, a disease which causes paralysis, and in turn resulted in the Herring Gull population crash which led to the 90% decline cited above. When landfills closed, these birds were once more forced to find alternative food supplies, and as proficient scavengers, have been able to take advantage of the waste found on our streets and overflowing bins. Further to this, by feeding them scraps from our sandwiches and what have you, we have trained some of these birds to see us as a source of food, which has led to lunches being pinched by a few rogue gulls. 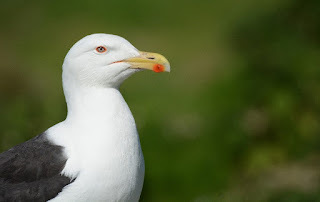 This change in the food web, from sea, to landfill, to scavenging from bins and streets, has also resulted in some species, the Herring and Lesser Black–backed Gull, to begin to nest on rooftops during the summer months, where they can more easily scavenge for their young broods. It is during this period that most of the human – Gull conflict arises. 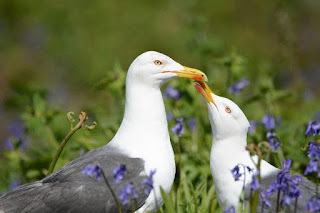 Gulls are fantastic parents who are, much like most human parents, wonderfully protective. This means that, particularly during the fledging stage during late June/early July - when Gull offspring are at their most vulnerable - these parents will protect their young by emitting high pitched warning calls or even putting their own safety on the line by swooping at people or pets who come too close to their young. This stage lasts for a couple of weeks after which Gulls go back to largely ignoring us. During the summer months we need to remember that it is our actions which have driven them to nest amongst us. It is a visible, (and often audible), warning that our fishery policies and practices are causing knock-on effects across the ecosystem and that major reforms are needed to correct this. For an excellent piece on fisheries policies in Ireland see this recording by BirdWatch Ireland’s Fintan Kelly. Colhoun, K. & Cummins, S. (2013) Birds of Conservation Concern in Ireland 2014–2019. Irish Birds 9: 523-544. Cummins, S. & Crowe, O. (2012). 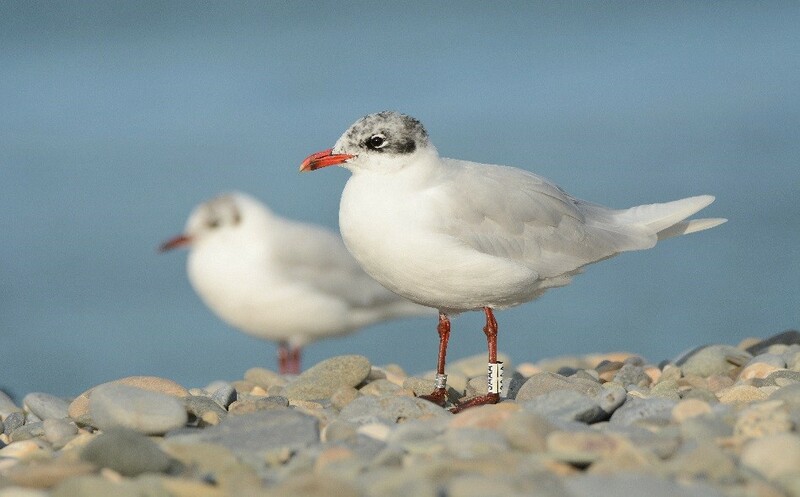 Collection of baseline waterbird data for Irish coastal Special Protection Areas 2011/ 2012, s.l. Report commissioned by the National parks and Wildlife Service and prepared by BirdWatch Ireland. Henry, P.Y. & Aznar, J.C. (2018). Tool-use in Charadrii: active bait – fishing by a Herring Gull, Waterbirds, 29(2), pp. 233-234. Ingolfsson, A. & Estrella, B.T. (1978). The development of shell – cracking behaviour in Herring Gulls, Auk, 95, pp. 577-579. Jacobs, I.F., von Bayern, A., & Osvath, M. (2016). A novel tool-use mode in animals: New Caledonian crows insert tools to transport objects, [online], Animal Cognition, 19(6), pp. 1249-1252. Tierney, N., Whelan, R., Boland, H., Valentín, A., & Crowe, O. 2014. 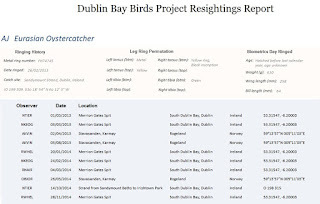 Dublin Bay Birds Project Technical Report. 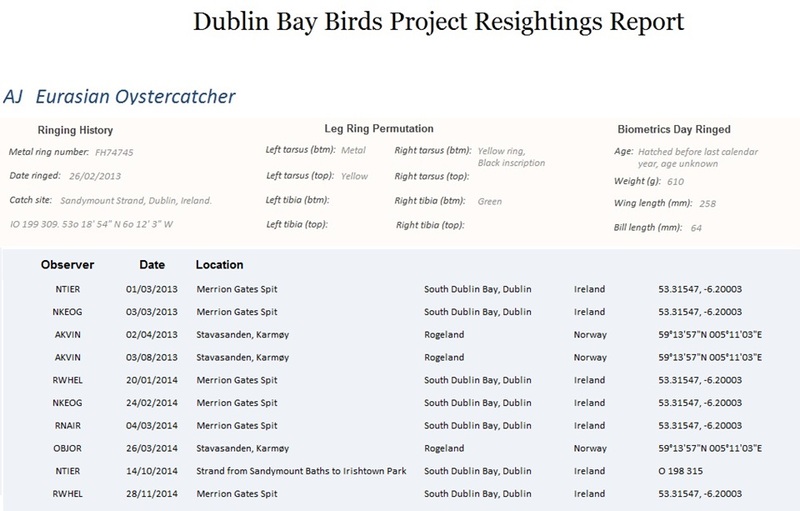 BirdWatch Ireland report to Dublin Port Company. Tinbergen, N. (1953). 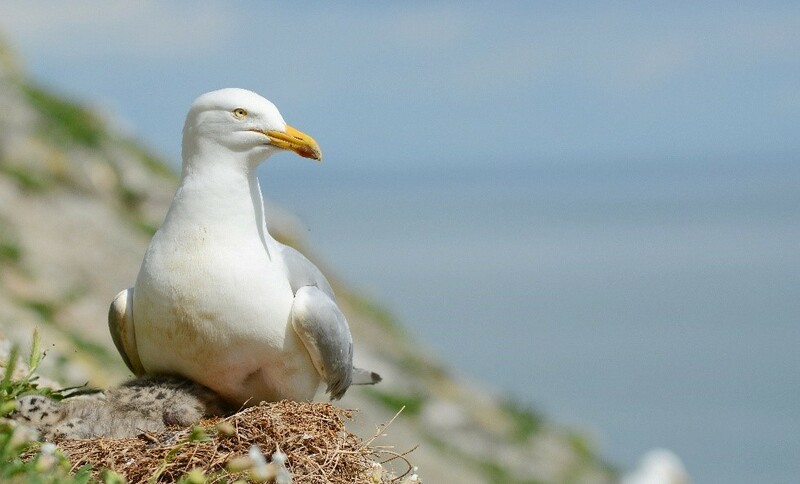 The herring gull’s world: a study of the social behaviour of birds. London, England: Collins. van Schaik, C.P. & Burkart, J.M. (2011). Social learning and evolution: the cultural intelligence hypothesis, Philosophical Transactions of the Royal Society, 366. World Wetlands Day is an international day of celebration, to commemorate the signing of the Ramsar Convention on Wetlands in the Iranian city of Ramsar in 1971. This massively important inter-governmental treaty provided the framework for the wise-use and conservation of wetlands around the world. It also formulated the criteria which are now used for identifying and placing legal protection on wetlands of significant importance. Dedicating a whole day to celebrating wetlands highlights their immense value and the need to protect them. With that in mind, we have compiled a short summary of what makes Dublin Bay such an important wetland site and why we dedicate so much of our time to studying it! We have also given some suggestions of when, where and how you can access Dublin Bay and observe some of its magnificent avian spectacles. Dublin Bay is designated under EU legislation as a Special Protection Area (SPA) due to the numbers of wintering waterbirds it supports. It holds internationally important numbers of Light-bellied Brent Goose, Knot, Black-tailed Godwit and Bar-tailed Godwit, and nationally important numbers of several other species. During our DBBP surveys the Bay regularly supports in excess of 30,000 waterbirds of more than 40 species, and, according to the Irish Wetland Bird Survey, it ranks in the top five most important wintering waterbird sites in Ireland! 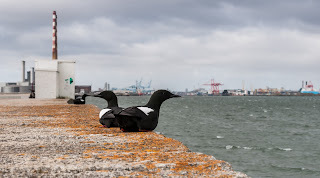 Dublin Bay is also a key site for breeding Common and Arctic Terns which breed on several structures in the Dublin Port area in summer months. Furthermore, massive flocks of terns (20,000+ at times!) have been recorded roosting on the intertidal mudflats along the south Dublin Bay coastline each autumn before making onward journeys to the west African coast to overwinter in its more favourable climate. Dublin Bay is a truly special wetland site and with its proximity to the capital city it is easily accessed by residents and visitors. Everyone should make an effort to visit the bay and see some of the wonderful natural spectacles on offer. 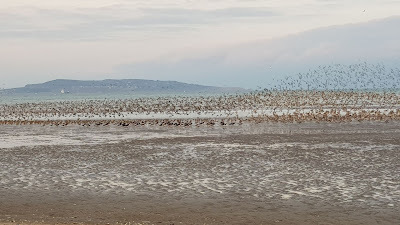 A flock of Golden Plover on the strand near Booterstown. Helen Boland. 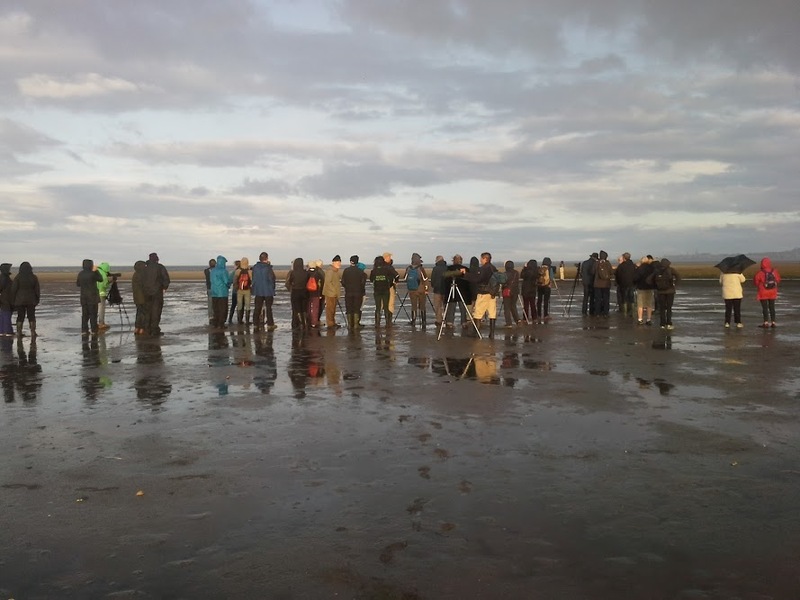 Some of the World Wetlands Day events in Ireland are listed here with the 'Birdwatching on Bull Island' talk and walk, organised by the Bull Island Volunteers, of particular relevance for Dublin-based people. Brent Geese freshly arrived from arctic northern Canada can be observed feeding on the coastal mudflats close to Clontarf from October onwards. This small goose species has become so habituated to humans in Dublin it offers a unique opportunity to get close to these urbanised Arctic migrants. 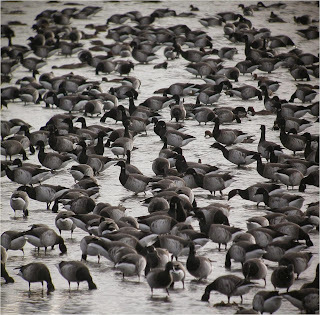 Vast numbers of wintering waterbirds of geese, ducks, waders and gulls are found within the bay from October to March. At low tide the mudflats and marshes around Bull Island are alive with feeding flocks. You can observe flocks of Golden Plover and Knot, thousands strong, filling the skies above the wooden bridge as they whirl and roll in close formation. Breeding Terns are easily observed from the Great South Wall (GSW) on balmy June and July days as they commute to and from their nest sites along the River Liffey. Watch adult terns fish in the surf south of the GSW and return with beak-fulls of tiny fish prey to hungry chicks waiting impatiently further up river. From mid-August and into late September Sandymount Strand hosts a massive mixed flock of Common, Arctic and Roseate Terns. The birds coalesce into spectacular flocks as the evening light fades and before they roost overnight on the sandflats close to Merrion Gates. This is a natural spectacle that has become an annual pilgrimage for many wildlife enthusiasts. to observe tern flocks on Sandymount Strand. Jen Lynch. Dublin Bus 130 will take you from Lower Abbey Street all the way to Bull Island Wooden Bridge. The DART serves Clontarf Road Dart Station which is within easy walk of the Tolka Estuary, and a little longer walk on to Bull Island. The DART also serves Booterstown Dart Station which brings you into the thick of things on Sandymount Strand. You can even view the autumn tern gatherings from the pedestrian overpass at the station. A number of Dublin Bus routes (1,18 and 47) serve Seafort Ave, Marine Drive which will take you close to Irishtown Nature Reserve. Follow the coastal path that will bring you east onto Pigeon House Road, continue along the waters edge to the Great South Wall. And a... godwit... in a pear tree? When you think of Christmas the first bird that comes to mind is probably not the Bar-tailed Godwit. Yet there is one similarity between this bird and the jolly bearded man who delivers Christmas from the Arctic Circle - the journeys each undertakes. The Bar-tailed Godwit subspecies, Limosa lapponica baueri, holds the record for the single longest non-stop migration of any avian species, clocking up between 10,000 and 11,000 km as it crosses the Pacific Ocean from its breeding grounds in Alaska to its wintering grounds on the shores of Australia and New Zealand. Closer to home, ‘our’ Bar -tailed Godwit subspecies, Limosa lapponica, admittedly has a slightly easier time of it, migrating from the Arctic Circle in Norway to overwinter on Irish shores from late August until March or April. That being said, I don’t think I’d fancy swapping my daily commute for their biannual trek. Bar-tailed Godwit in winter plumage with satellite tracking device attached to its back. Prior to undertaking such long migrations, these little birds must first ‘bulk up’. Their fat reserves increase phenomenally, finally comprising over half their body weight while their digestive organs shrink to accommodate this increase. As Bill Bailey so aptly put it, this is a ‘form of self- cannibalisation’ (1), a gory feat which Santa Claus has thus far been able to forego. 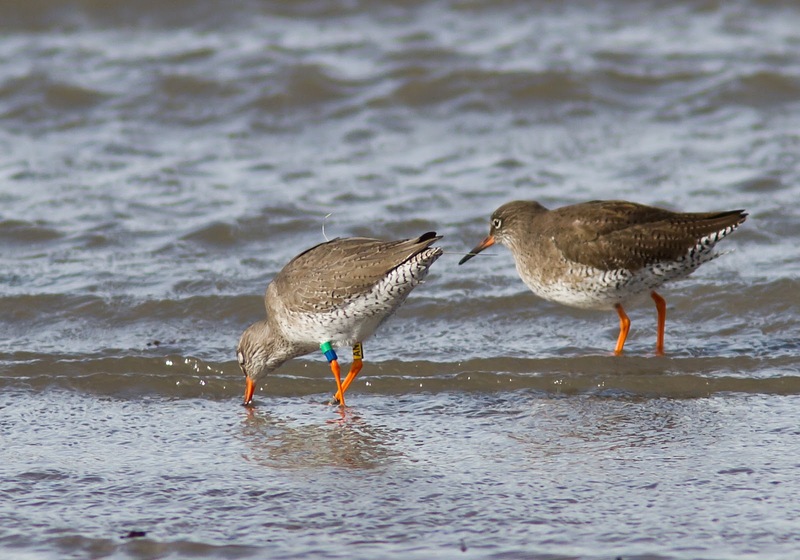 The Dublin Bay Birds Project colour-ringing scheme, which began in 2013, has shed some light on the migration patterns of Limosa lapponica. With the aid of volunteers, one Bar-tailed Godwit, (DH), ringed on Sandymount Strand, has been recorded in Norway in the months of May and July over four consecutive years. This suggests that 'DH' is breeding in Norway, a finding supported by ‘An Atlas of Wader Populations in Africa and Western Eurasia’(2). Bar-tailed Godwit ‘DH’ in breeding plumage – photo taken in Denmark. 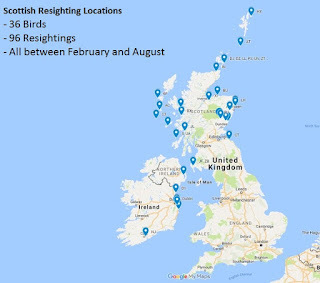 Colour-ring resightings have also revealed the potentially significant sites for these birds during their migration, with reports of Bar-tailed Godwits ringed by the Dublin Bay team submitted by volunteers in Denmark, the Netherlands and, most recently, England, prior to or following the breeding season. Resighting locations of Bar-tailed Godwits outside Ireland. Colour-ringing has also revealed some interesting patterns in terms of how Bar-tailed Godwits use Dublin Bay. 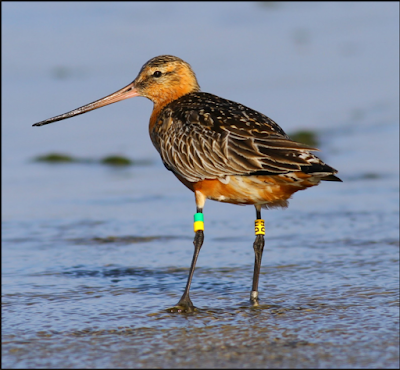 Although all the Bar-tailed Godwits colour-ringed by the scheme so far were ringed on Dublin’s southside at Sandymount Strand, these marked individuals have been recorded using both the north and south sides of the bay. This is in contrast to the Oystercatcher which appears to be a bit more site-faithful. Many Oystercatchers ringed by the Dublin Bay Birds Project at either Sandymount Strand or Bull Island on Dublin’s northside, have only ever been resighted in Ireland at or near to these sites. 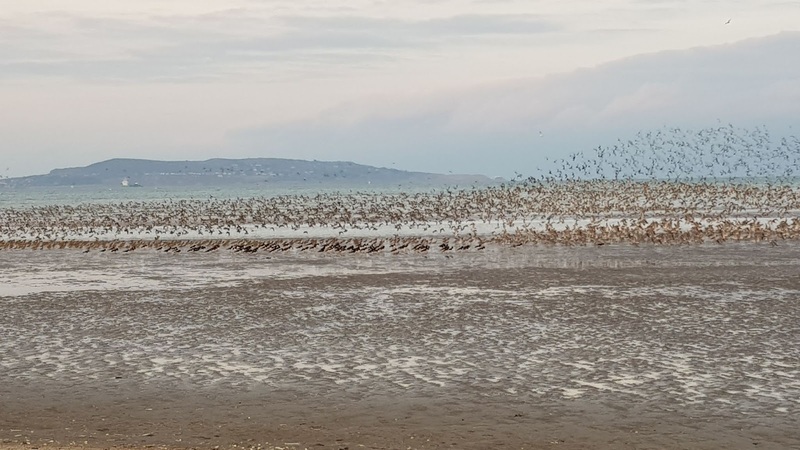 For instance, two - hundred and fifty Oystercatchers ringed at Sandymount Strand have been resighted in Dublin Bay since 2013, with only 42 of these birds observed in the northern portion of the bay. Therefore, while Oystercatchers appear to largely conform to Dublin’s northsider/ southsider divide, Bar-tailed Godwits seem a more flexible bunch, availing of foraging and roosting opportunities on both sides of the bay. 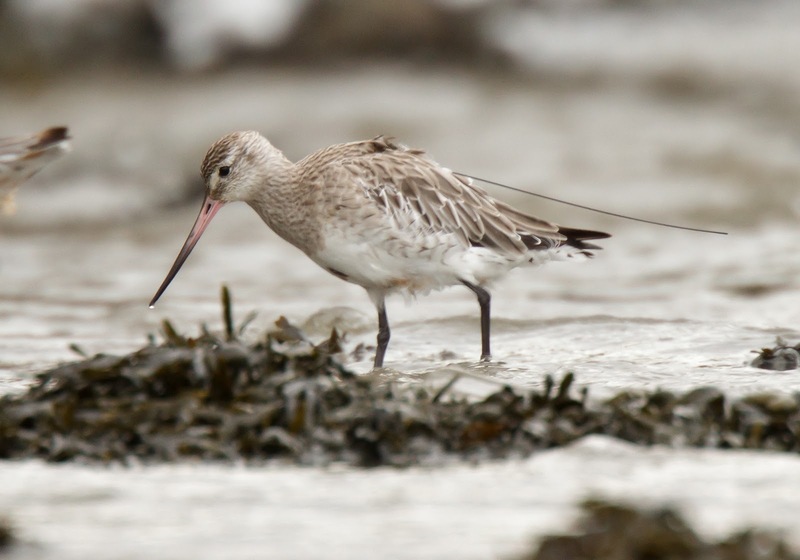 Resighting locations of Bar-tailed Godwits in Dublin Bay. All Bar-tailed Godwits were ringed at Sandymount Strand on Dublin's southside. Understanding the sites which are important to these incredible little birds on their migration to and from the Arctic and on our own shores outside the breeding period, enables greater national and international cooperation in protecting these sites. Colour-ring resightings feed into these conservation efforts and are a vital way to make a difference. Also, I have it on good authority that Bar-tailed Godwits act as spies for Santa Claus (courtesy of a five-year-old from Australia), so getting out and ring-reading may not only aid waterbird conservation but also pay off next Christmas! Finally, from everyone in the Dublin Bay Birds Project, we wish you a Merry Christmas and Happy New Year. A massive thank you to everyone who has submitted ring resightings over the last number of years, your help really is invaluable! (1) Bernhardt, A. (2016). ‘Interview: Bill Bailey on birdwatching, bar-tailed godwits and Brexit’ Country and Town House. (2) Delaney, S., Scott, D., Dodman, T., & Stroud, D. 2009, An atlas of wader populations in Africa and Western Eurasia, 1st edn, Wetlands International, The Netherlands. We are continuing our quest to fill many of the gaps in knowledge about how birds use Dublin Bay. Being immersed in fieldwork and data the last while means we have not been blogging as often as we like to. It is now time to take stock, and look at what has been going on. 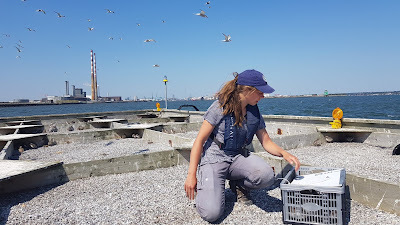 The 2018 summer was equal parts challenging and exciting with a big focus on the breeding tern colonies in Dublin Port, while also doing the monthly low and rising tide counts of the whole bay. 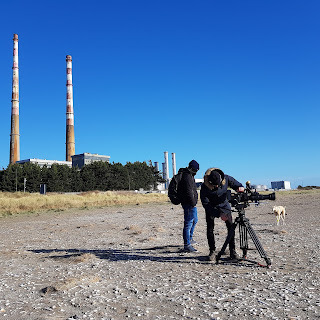 But first let's take a moment to mention the DBBP video we made with Dublin Port Company and our friends in Media Coop. We had a lot of fun making it and the bird footage is STUNNING. In case you haven't already seen it, there is a little taster below as the full video can't upload here. Full video available at this LINK. Back to the terns. Oh the terns. No matter how many times we make the trips out to the Dublin Port tern colonies by boat, it never, ever gets old. The contrast of nature at its most dynamic and vital – 1000+ terns industriously incubating eggs and protecting nests and screeching in the air around the colonies - juxtaposed with the similarly industrious shipping vessels and port traffic going about their business all around them is an extraordinary sight. And we feel privileged to have the opportunity to be among the birds like this, up close and personal (sometimes very personal with direct hits to our heads from defensive adult terns). Plus, seeing the city from a boat in the Liffey Channel on a sunny day is pretty special. In 2018, there were at least 596 pairs of terns, mainly Common but a few Arctic too, that nested on the four structures in the port area. The SPA-designated structure underwent significant upgrade works, carried out by ESB, and the terns seem to have adjusted to their excellent, new, specially designed platform. And the pontoon that was re-located pre-summer to a location close to the Great South Wall provided great views for walkers along the wall with a high volume of tern activity easily visible. 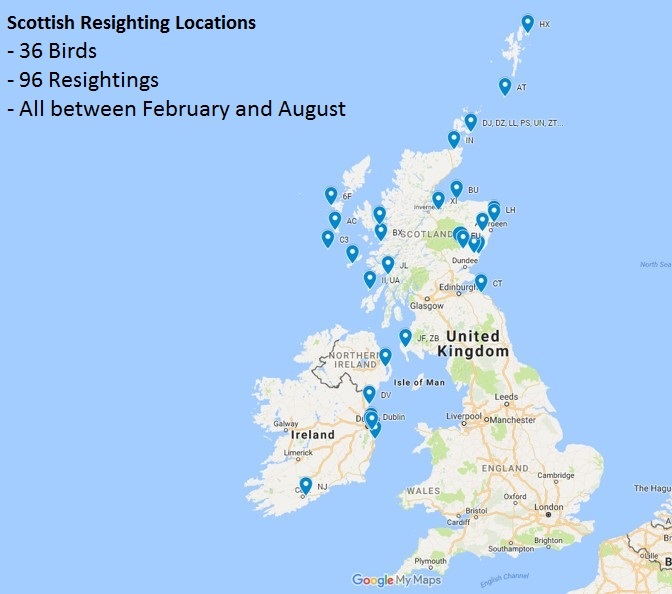 You can read more about the summer tern monitoring in previous blog posts here and here. Once August arrived we began looking out for the huge annual congregations of post-breeding terns along Sandymount Strand. This is quite the event with thousands of terns gathering in the bay each night just before their southerly migration. As we’ve said here before, Dublin Bay has shown itself to be massively important over those few short weeks in August and September. The highest count we had this year was 6,700 ‘Commic’ Terns - Common and Arctic combined - in September (not quite the heady heights of 17,440 from September 2016 but impressive all the same!). 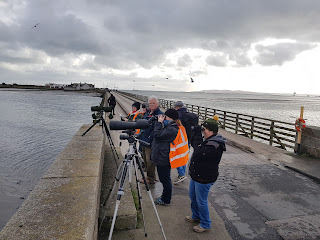 And we had the pleasure of being joined by the South Dublin Branch of BirdWatch Ireland that evening to soak up the sheer spectacle of it. More about these awesome (in the proper sense of the word) tern gatherings here. The DBBP Team with the South Dublin Branch of BirdWatch Ireland looking at thousands of Terns in September on Sandymount Strand. Helen Boland. 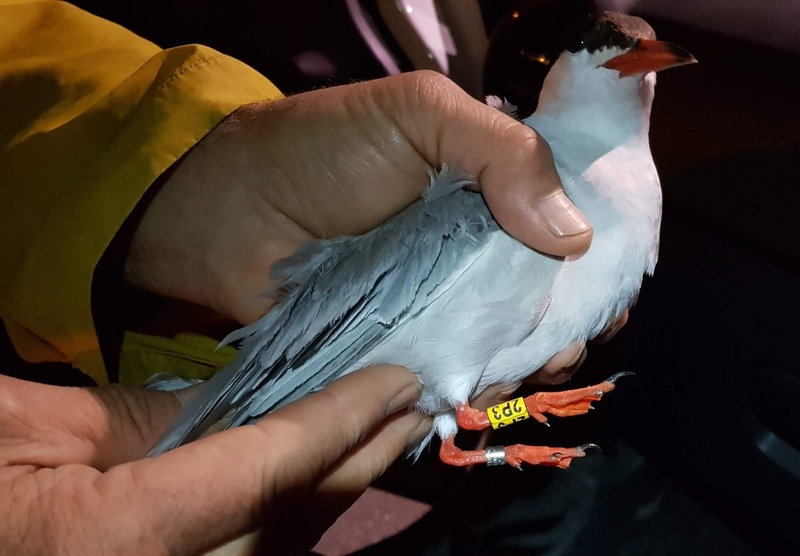 In addition to the 135 tern chicks we colour-ringed at their nest sites we also managed to fit colour-rings to three fully-grown Common Terns that we caught in mist-nets in the dark after one of the flock counts in September. Hopefully these birds will be seen somewhere along their flyway helping us understand more about where they go. One of the Common Terns, ‘PFF’, that we colour-ringed in Autumn 2015 at Sandymount, has been seen three times since then in winter in the Gambia! Some previous observations of our colour-ringed terns are described here. A Common Tern fitted with a Dublin Bay Birds Project, uniquely inscribed, colour-ring ‘2P3’ in September 2018. Helen Boland. But now we're back in winter mode and the next task for the DBBP Team is a dusk gull roost count next week. It is incredible how many more gulls are present in the bay in the evening having been inland or at sea all day. We wouldn’t have a clue how important the bay is for gulls if we didn’t carry out specially tailored counts like this. Last year we counted more than 34,000 gulls one evening in December, mostly Black-headed Gulls (~29,000), with Herring, Common, Great Black-backed and Lesser Black-backed taking up the rear in that order. Let’s see what we find next week. Then we move on to our third high-tide roost survey of 2018, with a dawn Brent census coming down the line too. 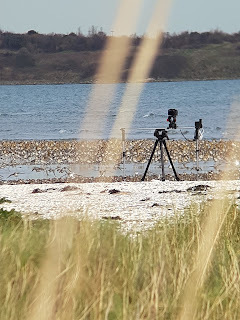 And all the while we have been dealing with the steady influx of wader colour-ring resightings of our Dublin Bay Oystercatchers on their breeding grounds in Scotland and Iceland. More on all of that soon in another post. We will share our news and findings more frequently now that we are back on top of our hectic schedule again! 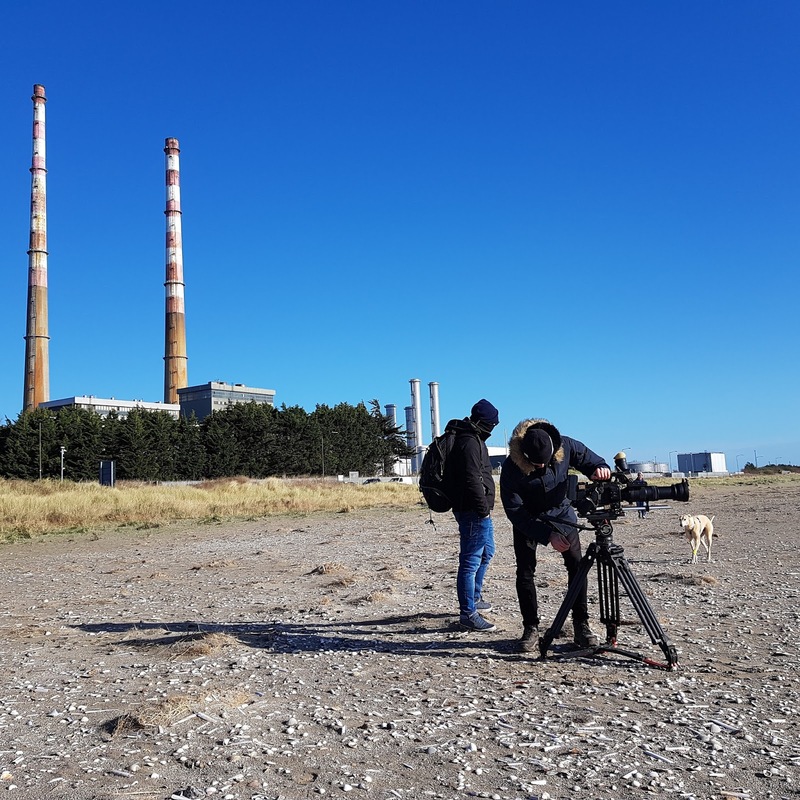 The information we are gathering improves our understanding of birds, how they use the bay, and what areas are particularly important for them, and hopefully it can help with informed decision-making about Dublin Bay. Last week we embarked on our first ever project video shoot. The aim was to produce a short video to describe the motivation behind the Dublin Bay Birds Project, the activities we undertake, and of course highlight the beauty of Dublin Bay whilst giving the wintering waterbirds the starring role. It took the guts of five days to capture the bird footage, human bits, and narrative, and was a really great experience for the project team. We started filming during our recent Ring-reading Event at The Bull Island Visitor Centre and, with weather and tides on our side, we got out to capture the bay at its best while searching for colour-ringed birds afterwards. 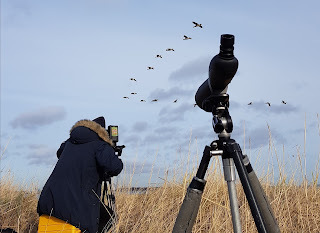 With almost five years of monitoring under our belt for the project, and with waterbird numbers at near peak levels, we knew where and when we would find the birds over the course of the few days. At Bull Island we captured the hustle and bustle of this waterbird hot-spot, not to mention a very obliging Golden Plover flock. It was also a great opportunity to film some of our colour-ringed birds up close! Filming also brought us to the Great South Wall to find small waders such as Turnstone and Sanderling, and plenty of gulls feeding on the rocks, tide edge, and river channel. We wanted to round it off in style and show the effect that the tide has on waterbird movements and activities. To do this we bedded-in for a full tidal cycle at Merrion Spit, an embryonic sand dune which is a roosting site for thousands of waders at high tide. We trudged the gear out at low tide, and with a short set-up window we got the gear in place and camera positions set. The time-lapse camera was ready, Francois and Theo, our cameramen, were in position, and by god did the birds and tide perform. Overall it was a massively enjoyable week and it gave us a small insight into the amount of effort, experience and knowledge it takes to film wildlife. We couldn't have asked for more in relation to the birds, the weather and the tides, and we now sit impatiently as we await the finished result. We will share the final product with you all very soon! Thanks to the great team at Media Coop, with particular thanks to Francois Gray for filming, producing and generally doing everything. Big thanks also to our awesome wildlife cameraman for the duration, Theo Jebb. We are grateful to Dublin Port Company for supporting the making of the video. 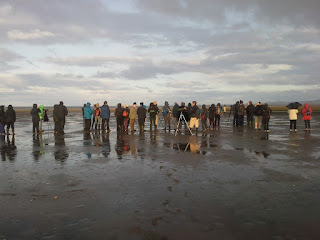 Back in October 2015 the Dublin Bay Birds Project Team hosted a 'ring-reading’ event at Bull Island Visitor Centre, see here. On Saturday, February 10th 2018, we are pleased to be running another similar one and we would love you to come along. The event acts as a way for us to thank and provide feedback to the observers who have been submitting their observations of colour-ringed wintering waders to us, but, also, we would love to help more people get involved with this element of the Dublin Bay Birds Project. The Citizen Science contribution to the project is of immense value and crucial to this work. We would like to encourage even more new Citizen Science contributors and catch up with established project contributors. Since 2013, we have ringed more than 1700 waders in Dublin Bay of which over 500 are colour-ringed (376 Oystercatchers, 99 Bar-tailed Godwits, and 41 Redshank). But all of that means nothing if nobody tells us where they spot them and the context of their observations. With five years of colour-ring resighting information now compiled we are seeing some interesting stories beginning to emerge. All of the observations we receive paint a picture of where the birds go to breed and what routes they take to get there, and they play a key role in identifying staging sites. 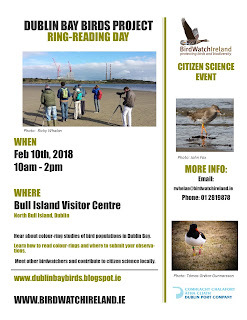 But, importantly, your observations of colour-ringed birds in Dublin Bay provide valuable information about how they use the bay for feeding & roosting. This information in turn informs our policy work and our conservation efforts, and it opens up dialogue with our colleagues internationally to feed into international bird studies and conservation management. What we want you to do is - stop when a colour-ringed bird catches your eye and, if possible, read and note the ring inscriptions. With that done you can enter your observation online and we will get back to you with the movement histories for that bird. All sounds simple, but of course it takes a bit of practice, concentration, and a good pair of binoculars or a telescope! If you would like to find out more or just want to come hear about the project and meet like-minded people we would love to see you on February 10th at 10am at the Bull Island Visitor Centre. 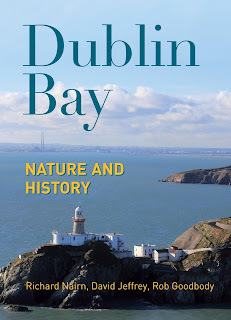 A new book, Dublin Bay - Nature and History has just been published by Collins Press. 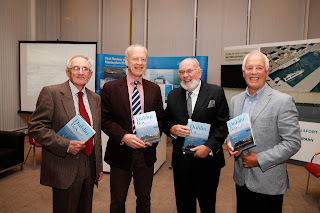 The authors, Richard Nairn, David Jeffrey and Rob Goodbody have done a superb job in compiling all that is wonderful and interesting about the heritage (natural and built) of the bay. The book was launched on November 2nd by Senator David Norris at the Dublin Port Centre to a big crowd of naturalists, historians and academics as well as the family and friends of the authors. Senator Norris gave a characteristically enthusiastic and humorous speech followed by author Richard Nairn who summarised (on behalf of all three authors) the motivation and journey behind getting the book to print. 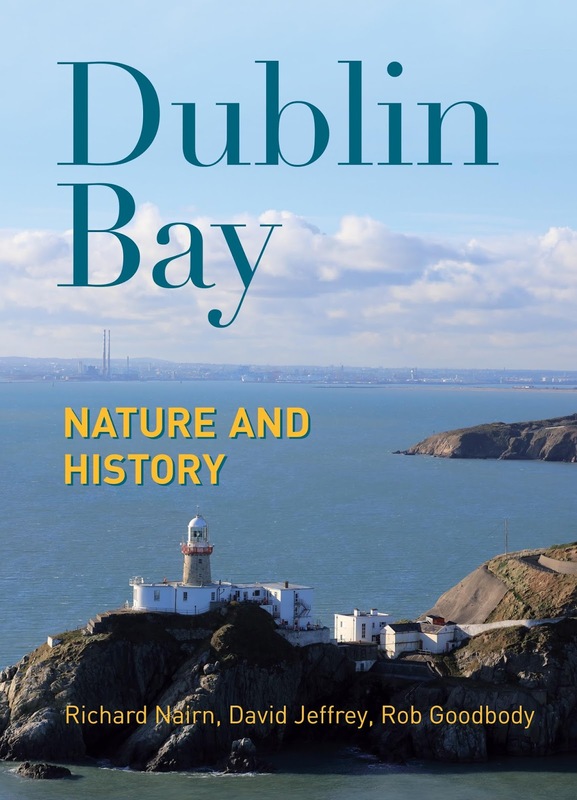 The book covers many aspects of the natural history of Dublin Bay, including its habitats and birds making it of particular interest in the context of the Dublin Bay Birds Project. The book is also full of beautiful photographs, old & new maps and interesting illustrations. 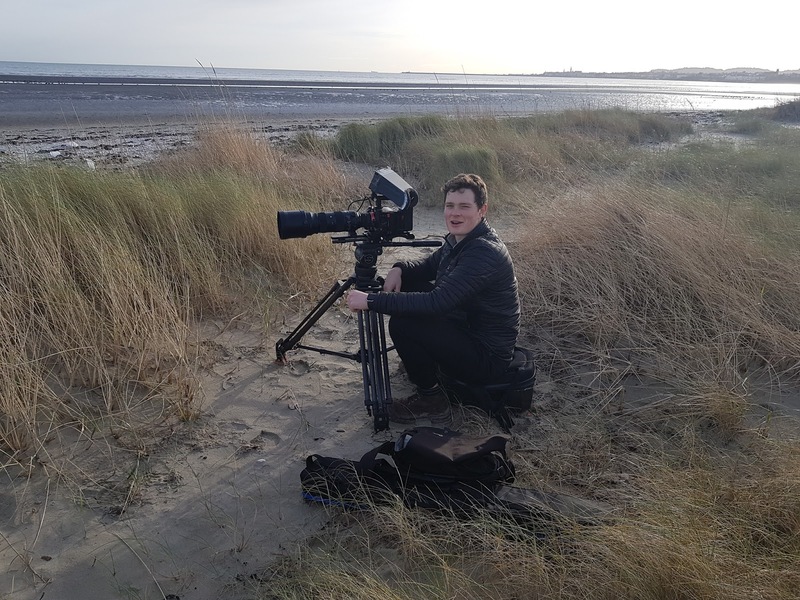 Local birdwatcher and contributor to the Dublin Bay Birds Project, John Fox, was Principal Photographer for the book, and his bird and landscape photographs are superb. 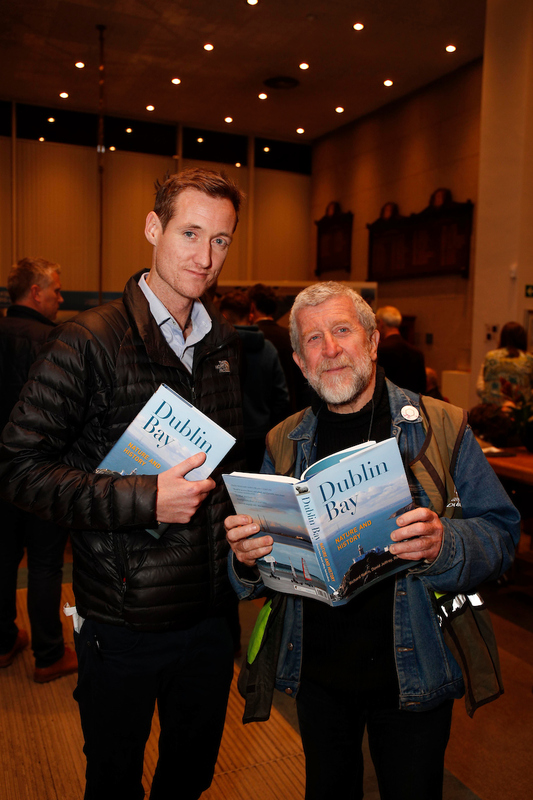 The Dublin Bay Birds Project Team and all at BirdWatch Ireland would like to wish Richard (who has close ties to the project through his work for Dublin Port Company), David and Rob great success with the book and future publications. All activities featured relating to the access and monitoring of nests, eggs, chicks and breeding birds are done under National Parks and Wildlife Service licences in accordance with the Wildlife Act 1976 and Amendment 2000.